Viktor has a vision, and he will do whatever he can to instill that vision into NXT as one-half of The Ascension with Konnor. The unconventional NXT Superstar seems motivated by a peculiar mindset to which only few can relate. Trained in Calgary, Alberta, Canada’s famed Hart Dungeon, some would describe Viktor’s style as that of a master craftsman in the ring. Viktor prefers to dissect his opponents while waiting for the most opportune time to strike. Though Viktor & Konnor held the NXT Tag Team Championship for nearly a year, breaking the record for longest-reigning titleholders, their dominance was stopped at NXT TakeOver: Fatal 4-Way. It was there that Sin Cara & Kalisto upended The Ascension and won the titles. 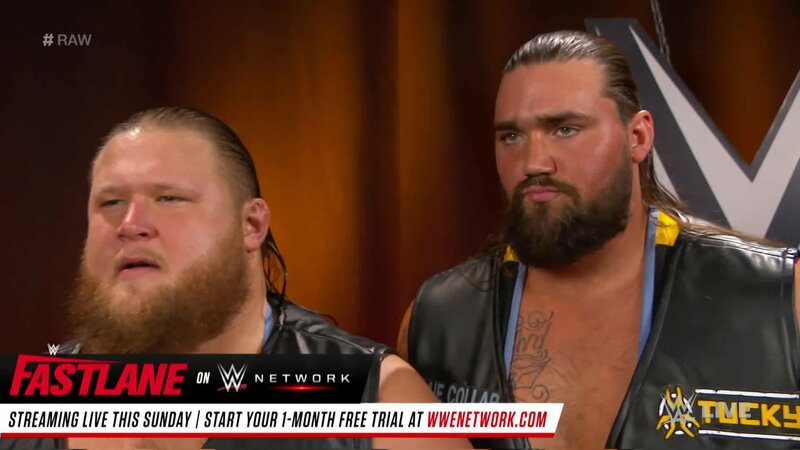 In a fit of rage, Viktor & Konnor demanded a rematch later the same night, but in the process disrespected newcomer Hideo Itami, who saw fit to send both members of Ascension packing from the ring. In the weeks that followed, Itami recruited Irish sensation Finn Bálor to help fight off Viktor & Konnor. At NXT Takeover: R Evolution, The Ascension fell in a competitive match to the pair of international Superstars, who sported special ring gear for the monumental battle. However, The Ascension are not ready to give up yet, as they let Bálor & Itami know that they will rise again. In addition to their battles on NXT, Konnor & Viktor made their Raw debut on Dec. 29, defeating The Miz & Damien Mizdow. With sharp skills and menacing attitude to match, Viktor plans to redefine NXT and WWE as a whole as part of The Ascension with Konnor.